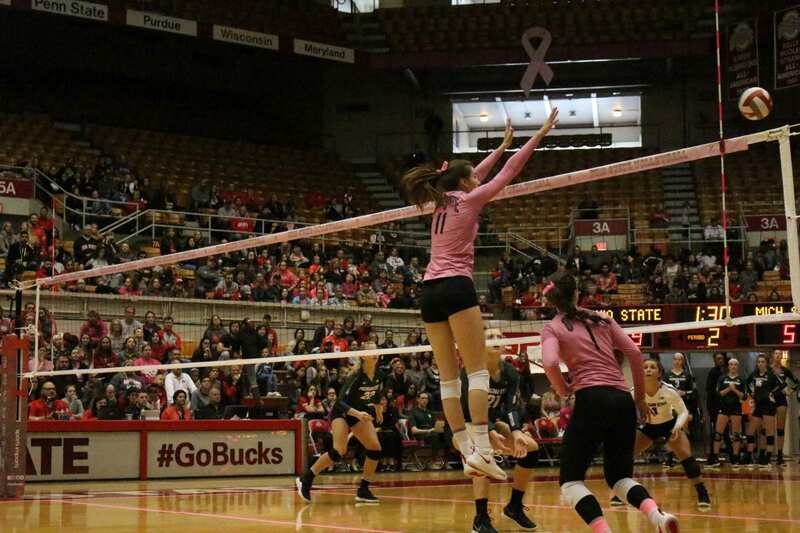 For its second time this season, the Ohio State women’s volleyball team will face Michigan State (15-12, 3-11 Big Ten) and Maryland (15-11, 6-8 Big Ten) this week. 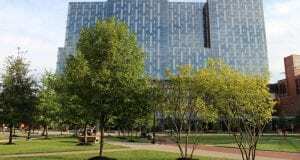 The Buckeyes will travel to East Lansing, Michigan, on Wednesday and return home Saturday to host Maryland for Ohio State’s senior night. The Buckeyes will honor senior setter Olivia Dailey and senior outside hitter Audra Appold after the match against Maryland. Ohio State will also honor former Ohio State volleyball players Jasmine Koonts and Taylor Hughes. 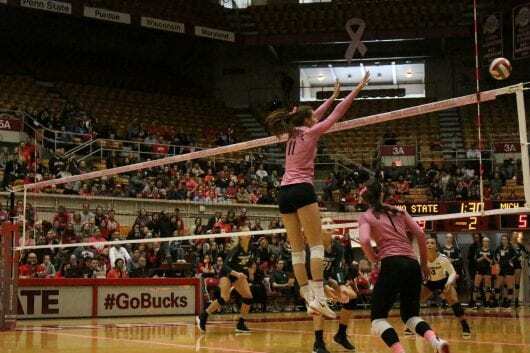 The Buckeyes swept Michigan State in their last match and are seeking redemption against Maryland after their 3-2 setback earlier in the season. Michigan State is on a seven-match losing streak, five of which were hard-fought battles against nationally ranked teams. Despite those losses, head coach Geoff Carlston anticipates the Spartans to be stronger than they have been in the past. Maryland freshman libero Allegra Rivas was awarded Big Ten Defensive Player of the Week last week, currently ranking No. 6 in the conference with an average of 4.54 digs per set this season. Sophomore setter Nicole Alford also records 9.91 assists per set. The Buckeyes have dropped their past six matches. “Once we get to 20 points we need to get better at stepping on the gas a little more,” Dailey said. Carlston plans to use scrimmage time to practice exactly that. The Buckeyes will face Michigan State at 7 p.m. on Wednesday and Maryland at 7 p.m. on Saturday at St. John Arena.